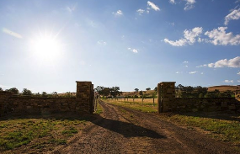 Get an insider’s view on some of the best cellar doors Heathcote has to offer. Not only do the wineries we visit produce quality wines but they also give their guests a great experience, something that is often overlooked. Be the first to pioneer this up and coming wine region. Explore all it has to offer on one of our tours. Tours depart every Friday, Saturday & Sunday from Melbourne CBD. Ideal for anyone wanting an insider’s view on some of the best cellar doors Heathcote has to offer. Not only do the wineries we visit produce quality wines but they also give their guests a great experience, something that is too often overlooked. Each of the wineries we have selected are designed to complement each other, boutique and authentic, quaint and charming, small and family run, rustic and relaxed, friendly and fun, striking and bold, you get it all on this tour. We want to introduce you to some amazing places you wouldn't normally uncover. It is a perfect place to start if your touring the region for the first time, or perhaps you are looking to visit a few places that you just might not have heard about. The region is renowned for its Shiraz but there are also plenty of other gems to be found. This little gem will get you feeling warm and tingly inside. There is nothing more charming than an intimate family run winery where you see passion and history at every turn. Heading up the entrance you wouldn’t think much. As you arrive at the small and unassuming shed you will see it’s not flashy and it’s not pretty but we guarantee you will be greeted with a warm smile as you get out and stretch your legs after the long trip. Mario Marson is considered a legend in the wine game working a 15 year stretch as winemaker for renowned Mount Mary in Yarra Valley. With a dream to one day set up his own vineyard the family made the move to Heathcote in 2000 where they planted the first of their vines. Tastings are conducted around a long table in their small intimate tasting room and are engaging and informative in all the right ways. The extensive list of wines truly shine. You will be taken through their selection starting with a Prosecco, moving onto whites, a Rosè and then reds you will be blown away one by one. To compliment the wines a selection of antipasti which include cured meats and Italian cheeses will be served alongside the tasting. When you combine the amazing service with exceptional wines you will be left with a memorable experience that makes for a perfect way to start the day. Tellurian is located a further 15 minutes north in Tooleen and definitely worth the trip out. As you head up the long driveway you instantly notice the red Cambrian soil the region is so well known for. What awaits is their impressive and striking winery and cellar door built in 2012, four years after the release of their first vintage. The winery itself is remarkable and meticulously laid out as they drew on chief winemaker Tobias Ansted’s wealth of knowledge when it was built. They would have to be the only vineyard that we know of using custom designed steel lined concrete tanks in their winemaking. The wines produced by these guys are world class with a great mix of both red and whites to try with a lot of European influence. Some of these include our absolute favourite Shiraz, a GSM, Nero D’Avolo, a superb Riesling, Marsanne and Fiano among others. There is something here for everyone and a real standout for the region. This is topped off by the incredible cellar door you experience which is brims with local knowledge and a friendly smile. You will walk away wanting to shout from the rooftops about Tellurian. Sit back and relax as you head 20 minutes south towards town to Heathcote Inn where you will settle in for lunch. Recently undergoing a refurbishment and overhaul of their menu with new chef Andy on board, this place cannot be missed on a visit to the area. Confirmed as one of the best eateries in town it is the perfect accompaniment to the amazing wine region. As you pull up to the old converted squash courts you will be amazed at what you find as you walk through the front doors. The modern and classy entrance is a glimpse of what awaits as you head past the inviting accommodation pool towards the open air restaurant. The décor is stylish and the ambiance is relaxed but it’s the food that is the focal point. The menu is seasonal and changes daily and draws on as much local produce as possible. Lunch will begin with a shared tasting plate which encompasses a selection of entrées which might include things like fried honey drizzled saganaki, chicken pate with homemade relish, veal and pork polpette, porcini mushroom and manchengo arancini or braised pork belly with green apple. Guests can then enjoy a choice of main; think grilled porterhouse salad, house made gnocchi, slow cooked pressed lamb shoulder or braised beef and burgundy pie. The options are so good you will struggle to make a decision but no matter what your decision you won’t be disappointed. Enjoy your meal with a glass of one of the many Chalmer's wines they have available. It is a great way to refuel and prepare for the last stop of the day. Munari is a quaint family owned winery and the perfect place to end a visit to the region. For anyone interested you can learn a great deal about the region and it’s history as these guys are a wealth of knowledge. As you pull up to the cellar door you can appreciate the pretty outlook to the south side of the property before heading into the unique and quirky tasting room. Tastings will often take place with a member of the Munari family and the passion for winemaking and the Heathcote region shines through. They too are eager to put Heathcote on the touring map. The wines produced show case the region perfectly with the standouts been their Shiraz and Cabernet Sauvignon. Add to the mix their beautiful black Labrador, Panther and you have a great last stop. Time permitting you can buy a glass of your favourite drop and head out into the garden to enjoy a drink and take in the scenery. Every now and then availability at some of the wineries outlined above is limited so we have a number of great alternatives that we often include on some of our private tours. A couple of our favourites are below but feel free to check out our website for a list of others here. We will try and let you know when the itineraries are shuffled wherever possible. his place is pretty as a picture and quite the contrast to some of the earlier stops as the grass is green and the gardens are manicured. Inspired by the wines of Rhone Valley this is three generations of winemaking right here. They are heavily influenced by European styles which seems to be a theme of many of the producers in the region. Interestingly they have just relaunched their wine labels to resemble the national flags of each variety, for example their Tempranillo draws on Spanish colours and the Nebbiolo from Italian. Tastings will take place in their wine room or outside in the garden (weather permitting) where you will be shown through a range of wines from the northern and southern areas of the Heathcote region. The wines are diverse and you will see some varieties that are uncommon in the area such as Vermentino, Albarino, a sparkling Shiraz and a sweet white alongside other more well-known styles. All tours include a great host, fully air-conditioned and comfortable transport, bottled water, all tasting fees, lunch which includes a glass of wine. Tours leaving from Melbourne start in the CBD with further pick-ups available on-route to Heathcote by request. Additional pick-ups may also be arranged by request from your accommodation in Melbourne CBD or Heathcote. The buses used for these tours carry up to 11 passengers however we limit any one group booking to a maximum of 5 people. Larger groups of 6 or more please check out our Private tour options here. We are confident that a small group environment gives our guests an opportunity to enjoy a relaxed day out, something that is often lost on bigger bus tours. Leave with a souvenir of your day out with Wine Compass and pick-up your very own Drop Stop - every wine lovers best friend. Roll, insert, pour and rinse over and over and over again. A great way to remember the tour.